UPS has completed its first ever drone delivery in the US. 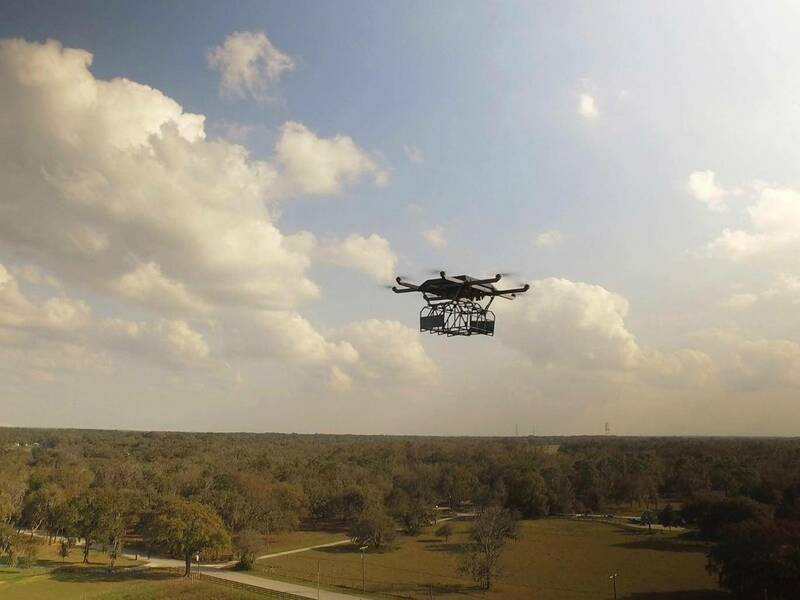 The delivery firm used a lorry-mounted octocopter to dispatch a package to a blueberry farm outside Tampa, Florida. 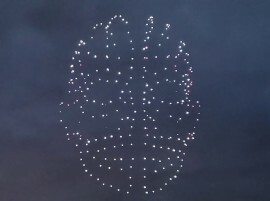 The drone launched itself off the lorry’s retractable roof with the package in tow, travelling around a quarter of a mile to drop it off at a house before returning to the vehicle, which in the meantime had been driven to a different location. The drone used in the test wasn’t actually developed by UPS, but by a company called Workhorse. 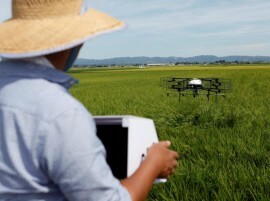 Named HorseFly, the drone carries parcels in a suspended cage, which can be reloaded each time it docks on the lorry. This is where it also recharges itself, through a connection between its arms and the lorry’s electric battery. It weighs 9.5lb, and is capable of carrying a 10lb package and flying for up to 30 minutes at a time, at a top speed of 45 miles per hour. 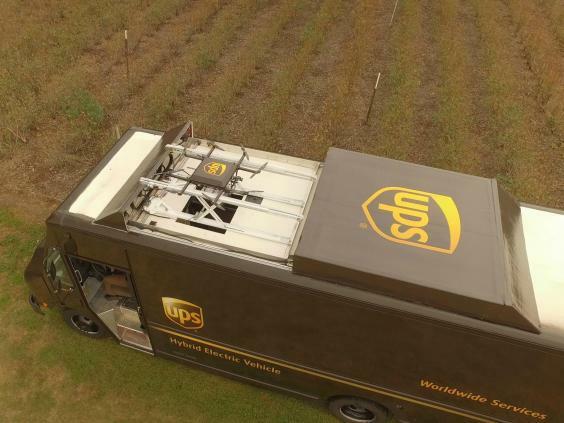 For the test, UPS had to follow current FAA rules, ensuring that the drone was within sight of a pilot at all times, but the company hopes to automatically determine routes using its On-Road Integrated Optimization and Navigation system in the future. Drivers would be able to launch and recall them with the push of a button. Amazon is also working on a drone delivery system, which it has been testing a little closer to home, in Cambridge.